Joe says, "Building a trusting relationship with my clients is key. Whether buying or selling a home, I will be there for you every step of the way. I will be committed to making your Real Estate experience an enjoyable one." Having been raised in a family that was in the Real Estate business, Joe has experience in both residential and commercial sides of the business. 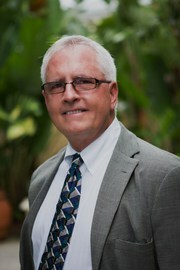 Before moving to FLorida, Joe owned and managed commercial properties in the state of Minnesota. As mentioned before, Joe moved to Lakeland from Minnesota in 2000. Having lived here for over 13 years now, he can truly say that he is proud to call Lakeland home. Joe also enjoys taking his 2 dogs for walks, playing golf, and having a glass of wine with friends.